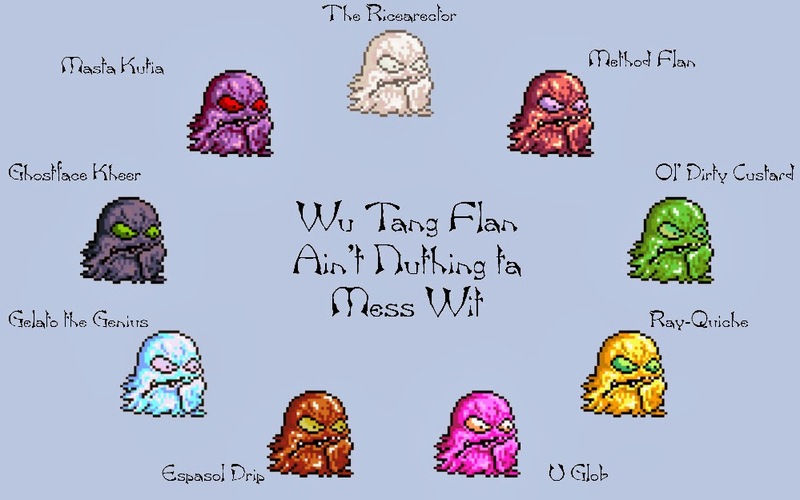 Prepare to enter the 36 Chambers of the Wu Tang Flan and defeat all nine powerful members to free the settlement of Five Burrows from their tyrannical rule and depredation. Five Burrows was a peaceful town set into the rolling hills before the Wu Tang came and turned the old monastery into their lair. From there, the Ricearector and its disciples raided the town and carried off all its treasures, leaving barely anything in the shops and fields. Most of the disciples are amorphs of one kind or another with flan taking on all the leadership roles and more common oozes used as foot... er, slimesoldiers. Ninjas may end up on the back burner from time to time but they are never far away. To the right is one of the new cards for the Sudden Death PNP pdf that you can download below. 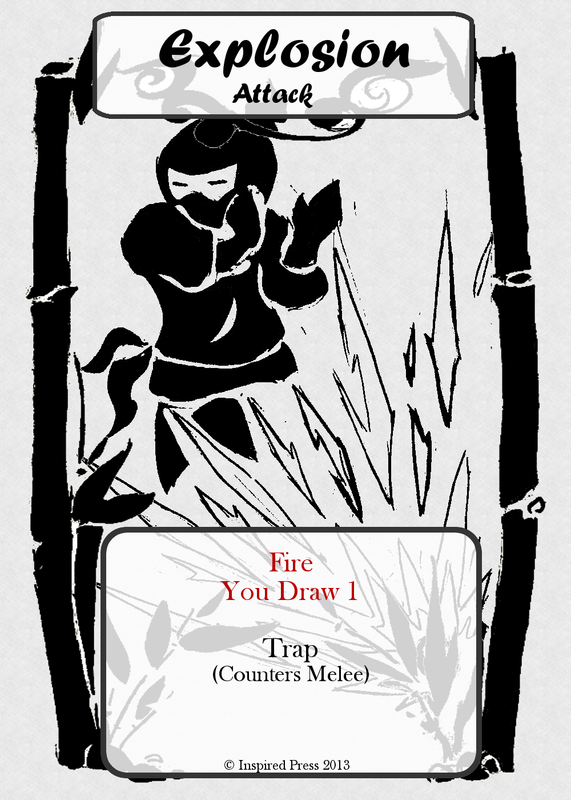 If you want to see us finalize the art and get it printed on actual cards then download it now, play it and tell us what you think.